Working on behalf of the Isle of Wight Council, Mackley has recently completed an eight-week project to create new moorings on the River Medina. The River Medina is the main river of the Isle of Wight, rising at St Catherine’s Down near Blackgang and Chale, and flowing generally northwards through the capital Newport, towards the Solent at Cowes. The ‘Folly Moorings’ lie on a quieter stretch of the river at Whippingham, which is only accessible by tender or water taxi. 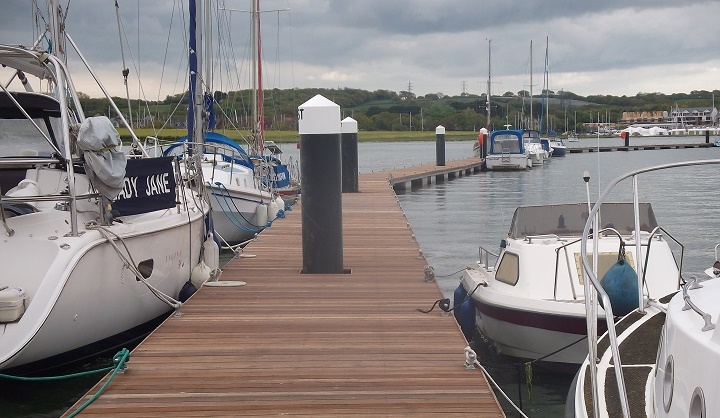 The project involved installing steel piles and wooden floating pontoons to improve the existing moorings, in an area designated as a Solent Maritime Special Area of Conservation (SAC), an area of ecological sensitivity. With more than 70 berths often occupied during the summer months, the works were carried out during the winter when far fewer berths are occupied. This ensured that any vessels that needed to be moved to accommodate the works could still be moored on the Folly. 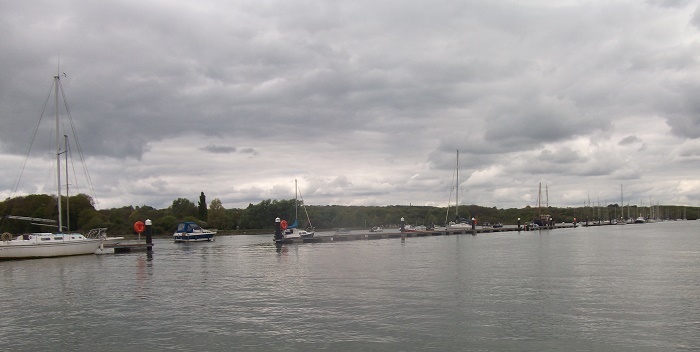 The first stage of the £640,000 project was the removal of life-expired existing piles and pontoons, with timber and steel sent for recycling.